We’d just crossed the sixth one-lane bridge between the property we were driving into the mountains to look at and anything remotely resembling a town. Six opportunities to be stuck on one side of a washed-out bridge or the other — going in or, more worrisome to me, coming out. Visions of not being able to get to a hospital spun around in my head. “Good point,” he replied as a car whizzed past, its driver seemingly unconcerned that the two-lane road in the direction he was heading folded in half at the edge of a drop-off, then plunged up a blind hill. Maybe he was out of milk and eggs and had thrown caution to the wind, I silently posited. I found a nearly-vertical driveway with a wide enough un-gated mouth to turn the 4Runner around without falling off into a ravine. It had a pretty decent view of the road snaking past it. Down below us, across the road, a cabin nestled in a sunlit clearing, the postcard version of all the similarly-nestled cabins we’d passed along the way. The cabin’s idyllic surroundings raised at least three flags for mistakes people make when buying rural land that formed the basis for my aversion to bridges. I peered as far up either side of the road as a I could, took a deep breath, and stomped on the accelerator, just as another car shot through the curve. I wasn’t comfortable with the margin by which we missed colliding but was thankful for it, nonetheless. I risked a quick glance at my iPhone, where Google Maps was now showing us backtracking our route. The app had long since given up any active navigation and had simply been painting a blue line across the screen in the direction of the route it had chosen for us. As we retraced the route, the blue line became grey, indicating we were on the right road, which was a good thing, as I’d been so busy negotiating the crazy curves and hills that I wasn’t sure I could reverse the turns I’d taken on the way in without help. Western North Carolina’s rural landscape steals my breath away. Mountain coves hold in their embrace a patchwork of beautiful, rolling farmland and dark, stately forests stitched together by hair-raising two-lane roads. I found myself smitten with the area the first time I drove through it. Just over a year later, having come to the realization that I’d been delaying a long-held dream to live more simply, more in sync with nature, I decided to make it my home. However, driving through a place is far different from taking up residence. I was just now getting a taste for the challenges of mountain living. Although I plan to live off-grid in a yurt, I do not plan to homestead or live as a hermit, so there are a few modern conveniences, such as grocery stores, that I’ll still need access to. Because my plan also includes rental yurts for “glamping” — a trend that combines aspects of a camping experience with the ease of a bed-and-breakfast — I want to be reasonably close to restaurants and other attractions, without my guests losing the feeling of staying in a mountain retreat. And, frankly, at nearly 54 years old, I have to consider how likely it is that I’ll be able to age in place. I don’t want to build my dream only to find myself too frail to maintain and enjoy it. Yes, it’s a tall order. My requirements, in fact, completely blew my budget for the land purchase itself because finding such a property requires more acreage than I’d anticipated. Not only were covenants and restrictions a potential barrier to living the way I wanted to live, but so (apparently) was finding land that was both accessible and level enough to build on. On the climb up, necessitated by the fact that Pat didn’t think his minivan would make it up the unimproved road — which the boulder jutting out of the center of one of the steeper rises validated — he’d pointed out patches of less-crazily tilting ground. To my eye, these were mere ledges jutting from a forest that vaulted skyward. He’d point at one ledge or another, telling me, “You could put a guest yurt there…and one there…” I tried to imagine my guests struggling up a rutted drive, parking their vehicles on a narrow switchback, and hauling their gear or suitcases across a walkway spanning a deep rift in the earth before arriving at a yurt perched on a deck that jutted over the sharp drop. I pictured my elderly parents afraid to visit. The knoll was lovely, and the perc testing conducted by its current owners indicated that at least four people could live up there full-time. A broad stream bubbled along the bottom of the parcel, by the road, so water was plentiful. I wondered what kind of power would be required to pump that water all the way up to where we were standing, and what it would take to get any kind of pressure. My heart sank. If this was what usable mountain land looked like, and it was beginning to look like it was, based on our explorations that day, I had no idea what I was doing. Later, at dinner, I shared my fears with my brother and his wife, Kim, who had come up to join us from their home in South Carolina. In fact, maybe, I thought, I am completely off my rocker and should be staying put, safe in my sweet little house in the city. Categories: Finding Home | Tags: activateadventuremode, bravenewlife, buying mountain property, land purchase, minimalist lifestyle, yurt adventure | Permalink. While the lovely North Carolina drawl riveted my attention, it wasn’t what first attracted it. That dubious honor went to the tall, slender form of its speaker — a silver-haired man clad in jeans and a button-down shirt, emerging with leisurely grace from a silver Mercedes — even before he spoke. “I am,” he said simply, extending his hand and introducing himself as Hugh. My brother John and I were casually looking at a few properties before I was scheduled to meet with my realtor, Pat, later in the day. I hoped to get a preview of what was available now that I was ready to begin my search in earnest, and we’d been trying to locate the first property on my list, a partially-cleared 11-acre parcel. Confused by the addresses, I’d pulled my old 4Runner into a cutout in the road, parking it up against a farm gate where a rutted drive ran between a sizable pond on the one side and a sunken field on the other. As we gazed down at the field below us, I remarked to John that if that was the acreage, I’d have to pass. It didn’t look like it would take much for the pond on the other side to spill over the retaining wall and flood the field. We couldn’t be sure we were looking at the right parcel, however, because the realty sign was missing, and addresses for undeveloped land are approximate. “Addresses out here aren’t as orderly as they are in the city,” Hugh commented in his soft, southern accent. “We make the numbers up as we need them.” He also explained the missing realty sign: The listing agent had gotten sideways with a local mining company by defending homeowners whose properties were damaged by illegal blasting activities. The company’s employees retaliated by making it difficult for her to do business — including stealing or destroying her signs any time they found one. My brother and I exchanged a glance. A sunny meadow nestled into the embrace of a woods, running more-or-less gently down to the road but vaulting sharply up into the trees at its opposite end. It was beautiful, but I wondered — neither for the first nor the last — what it would take to balance a structure on the slope. Hugh had bought the property, as well as the one on which we were standing, as a “buffer” for the rest of the neighborhood. Over a decade ago, a developer expressed interest in the land, planning to put a trailer park on it. Hugh, a retired Christmas tree grower, wouldn’t have it. He’d purchased some 25 acres to prevent the developer’s progress. I thought of the dilapidated trailers and shacks we’d passed on our way up to this idyllic meadow. Less than picturesque, to be sure. Which begged the question Hugh asked next. 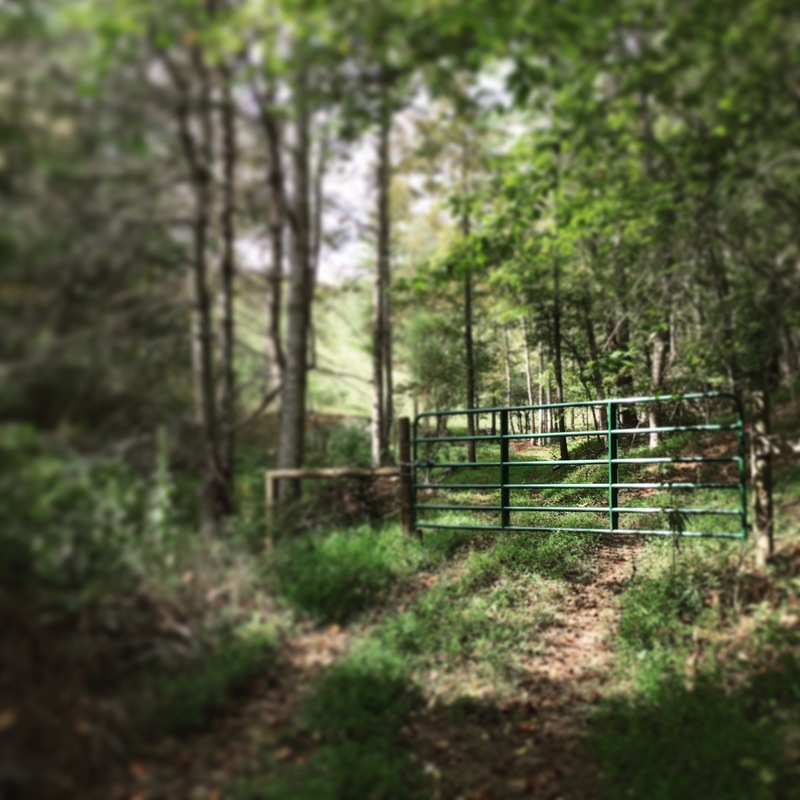 When I’d started my search for land in western North Carolina, more than a year prior to meeting Hugh, I’d told my first realtor (Laura) I wanted a three-to-five-acre plot, partly wooded, with a mountain view. I wanted enough space for my own yurt as well as two or three guest yurts that would become a source of income, as well as guest quarters for visiting family and friends. 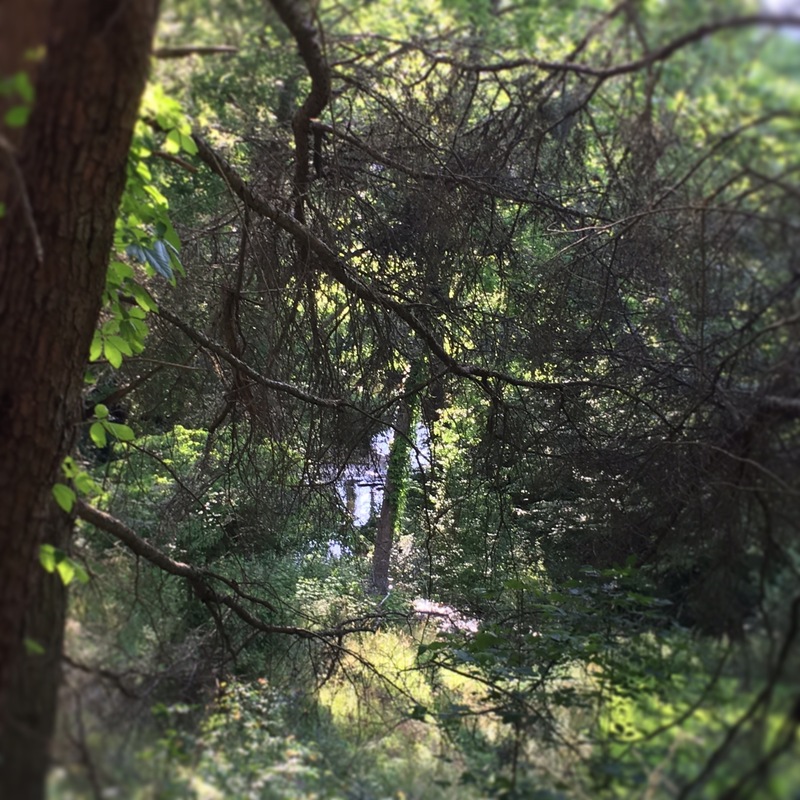 Using my sister’s three-acre lot as a guide, I determined that a similarly-sized lot would afford me a little privacy without putting too much distance between myself and my guests. Linda obliged me by sending links to listings within about a 25-mile radius of Asheville, which I hoped to make a kind of hub for shopping, eating out, and social activities. Being reasonably close to Asheville would be a bonus for yurt renters and guests, as well, since it’s a sought-out destination for everything from brew pubs to fall color tours to tours of the Biltmore Estate. But I also wanted to be far enough away from the city for my home to feel like a retreat into nature. And, so I’d explored the area, mapping out routes to the listings Linda sent me, taking notes about the tiny towns and rolling countryside, getting a feeling for this place I was considering making my home. I thought a lot on those drives: about the kind of neighbors I hoped I’d have; about driveways and right-of-ways; about mountain views and valley vistas; about forests and meadows and streams. I dreamed. I planned. I learned. What the heck?! Ten acres? Eleven? THIRTY???!!! I fired off a (slightly testy) email, reminding him what I’d asked him to find for me. He responded to my email with a phone call — as he (thankfully) so often does — and patiently explained. Smaller plots, like the ones I sought, are generally situated in or near developments, where covenants and restrictions apply — and, while defaulted loans and estate sales happen, those plots are quickly snatched up. So Pat was sending me listings for at least 10 acres to help me realize my stated goals for the property. They were twice the acreage I’d planned for, more than twice what my projected budget would allow. But they were more likely to afford me the flexibility I wanted. As long as what I wanted didn’t conflict too drastically with the aesthetic of where I planned to buy. At the mention of a yurt, Hugh’s face stiffened, almost imperceptibly. Hugh let out a big sigh, then expressed concerns about how yurts would look from the road and what they might lead others to believe they could bring into the area — implying that I’d be setting a bad example. “Exactly,” I told him. “And, you know, I’m certainly not opposed to planting trees and shrubs to screen people’s view. I love beautiful landscaping. Living in a yurt won’t change that.” I spent a few minutes painting a picture of my vision, of the need for beauty and for living in closer harmony with whatever land I bought, about the value of leaving some spaces natural. When I paused for a moment, Hugh offered to drive me up the ridge to show me where I would cut my driveway in from the road. My brother and I jumped into the truck with Bodhi, who had been waiting patiently for us, and we followed Hugh’s silver Mercedes up the rise, away from the ear-splitting racket of the neighbors’ hounds. Later, in Pat’s office, we reviewed the listings he’d sent me, eliminating some of them because they were too remote, too hard to access, had too many bridges to wash out between the grocery store and me. As he clicked through the links, he found a listing for 11 acres of partially-wooded land. “What’s the address?” I interrupted. He told me.